This year’s Rutherford Lecture will be delivered by Distinguished Professor Peter Schwerdtfeger (Massey University), a leading chemist and physicist who was awarded the Royal Society of New Zealand’s 2014 Rutherford Medal. The first periodic table of elements, proposed in 1869, was compiled by arranging the elements in ascending order of atomic weight, grouped by chemical properties. At that time, it was not known how high in atomic weight the elements could go before becoming unstable and decaying. The last decade has seen the production of new elements up to nuclear charge 118 – just how heavy can elements go and what can chemists do with such exotic elements? Where does the periodic table end? The lecture is free and open to the public but, to ensure a seat, you should register online. You can also find more information here. 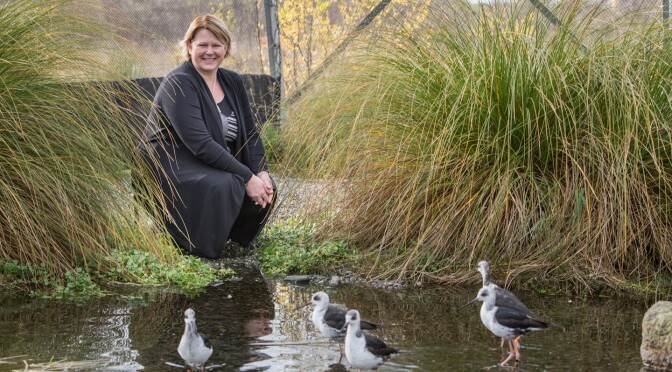 Dr Tammy Steeves spoke on Radio NZ programme Our Changing World and was also featured on Stuff and NZ Herald talking about new research about North Island brown kiwi genome and insights into a Kiwis nocturnal lifestyle. 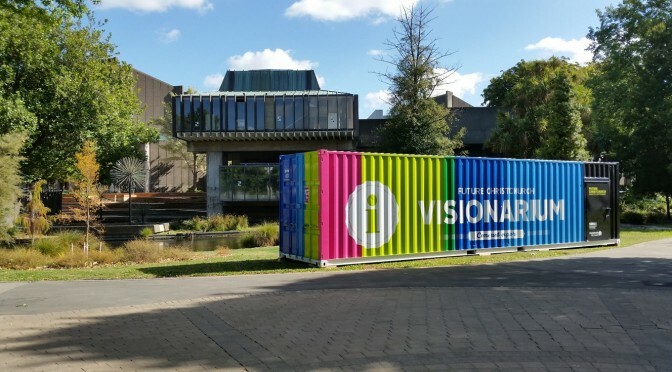 UC will be hosting CERA’s Visionarium, a mobile exhibition hub featuring information about anchor projects, private rebuild projects and recovery initiatives in greater Christchurch. It includes interactive multi-media displays, information to take away and a video booth where you can have your say on the city’s future. The hub is staffed by Future Christchurch ambassadors and digital imagery in the Liquid Galaxy unit allows visitors to “fly through” the city to visualise future developments. Rebuild documentaries and informational videos are also screened. Visitors also have the opportunity to take photographs in the photo booth to print into bookmarks.